Sustained success isn't easy, Brisbane Bandits manager David Nilsson knows that. Adversity strikes at the most inopportune moments, Nilsson knows that too. When starting shortstop Logan Wade dislocated his shoulder 90 minutes before Nilsson's Bandits began their quest for a four-peat, Brisbane were immediately behind the eight-ball. "This season has been as difficult to deal with as any season I've been involved," Nilsson says. "The team has needed to mature this year, and like we've done in our past three seasons, we've peaked at the right time." Halfway through the regular season, Sydney, Melbourne, Canberra and Perth all had better records than the Bandits. Wade was still sidelined, as was Mitch Nilsson, who hit .341 a year ago. New recruit Loek van Mil was in a critical condition in Canberra hospital, while the reformed ABL's all-time saves leader Ryan Searle was in the midst of a month-long absence. "We've been in survival mode all year," Nilsson says. "Those absences threw everything else out of whack, our guys were overexposed and playing different roles. "We've had our issues, both on and off the field. I've been distracted at times and my players and staff know I've been dealing with a lot this season." Nilsson's son Jacob went through multiple surgeries to remove cancerous lymph nodes, heaping more pressure on the Bandits skipper. "The team has been concerned for me and my family, Jacob is a part of this team," he says. "We've been building for the playoffs all season as a team, there's been no panic or concern, just going about our business with what we've got." Brisbane won their last six regular season games to secure the North-East Division title, before taking down the Canberra Cavalry in a three-game ABL Semi Final Series. Now they will face a Perth side which Nilsson believes bares similar traits to his Bandits in the best-of-three ABL Championship Series. "They (Perth) are a well-rounded team," he said. "They've got a solid offence and a nice blend of youth and experience and can beat you in a number of different ways. "I see a lot of similarities between the two teams (Brisbane and Perth), it's going to be a high-quality series." 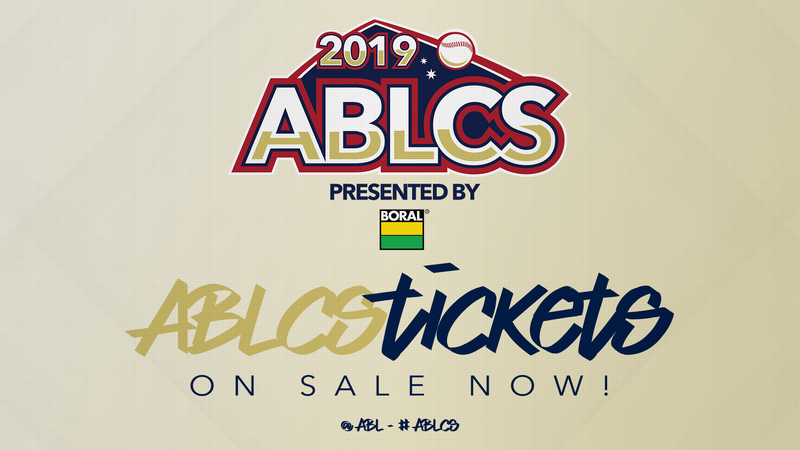 Game one of the ABL Championship Series presented by Boral takes place on Thursday in Perth at 7pm AWST.